The perfect pair of retro shakers to bring any botanical tablescape to life ! 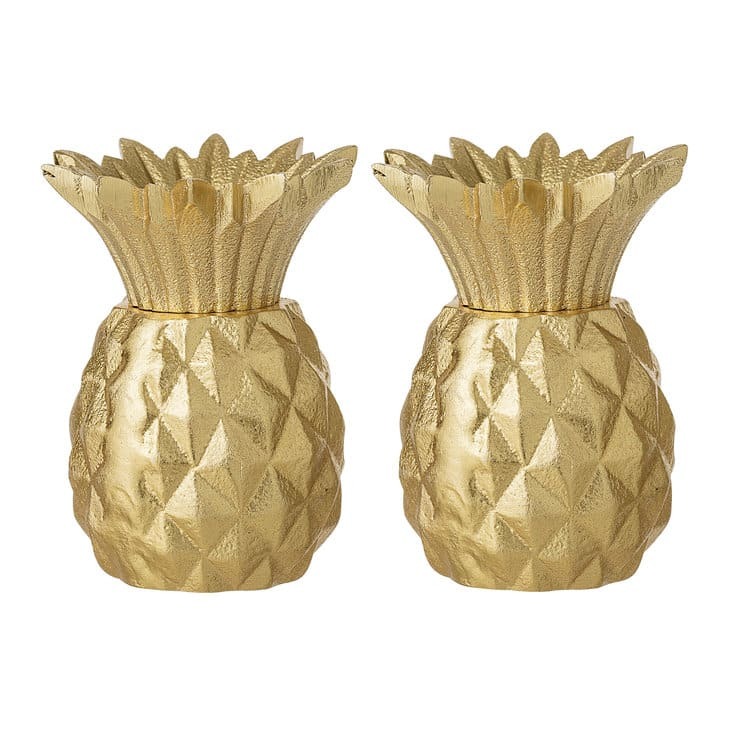 Set of two gold pineapple salt and pepper shakers. Designed in Denmark by Bloomingville.